7-inch PLS touchscreen WVSGA resolution. 1Ghz Dual-core CPU, 1GB RAM, 8GB memory. 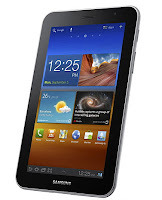 Operating system : Android 4.0, TouchWiz UX. 3MP rear camera, full HD video. 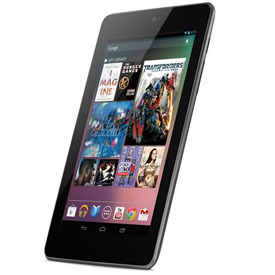 7-inch PLS LCD Capacitive touchscreen. 1.2Ghz Dual core CPU, Mali 400 MP GPU. 3MP Primary, 2MP front-facing camera. Bluetooth, WiFi, HDMI, WiFi direct, 3G HSPA,GPS. 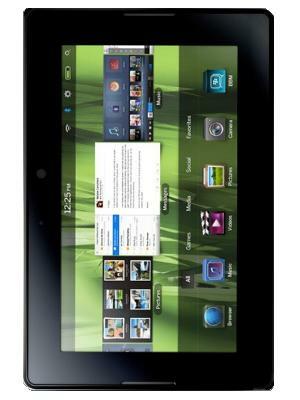 7-inch TFT touchscreen, LCD backlit, WSVGA reolution. 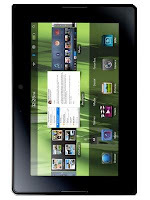 1Ghz dual-core CPU, 1GB RAM, 64GB ROM. 5MP AF Rear, 3MP Front-facing camera, 1080p video recording. BlackBerry 2.0 Operating System, Adobe flash. Bluetooth, WiFi, USB, HDMI, GPS. 7-inch LED backlit IPS touchscreen, Gorilla glass display. 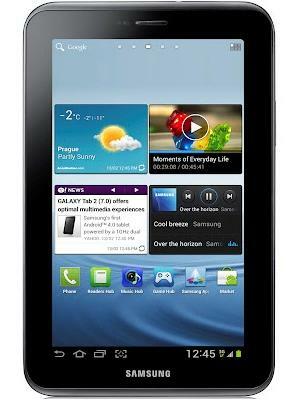 1.3Ghz NVIDIA Tegra3 Quad-core processor, 1GB RAM, 8GB Memory. Android OS 4.1 Jelly bean. BlueTooth, WiFi, Micro USB, NFC. 10.1 inch Active Matrix TFT LCD touchscreen, 16:10 WXGA Resolution. 1Ghz Tegra2 CPU, GeForce GPU. 5MP Primary, 2MP secondary camera.